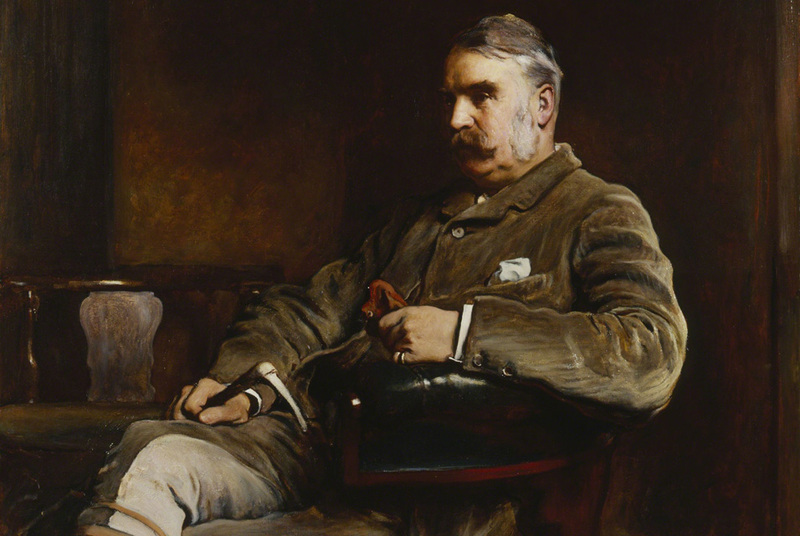 Today is the birthday (1836) of Sir William Schwenck (“W.S.”) Gilbert, an English dramatist, librettist, poet, and illustrator best known for the fourteen comic operas (known as the Savoy operas) produced in collaboration with the composer Sir Arthur Sullivan. His creative output included over 75 plays and libretti, numerous stories, poems, lyrics and various other comic and serious pieces. His plays and realistic style of stage direction inspired other dramatists, including Oscar Wilde and George Bernard Shaw. Gilbert was born in London. His father, also named William, was briefly a naval surgeon, and later became a writer of novels and short stories, some of which were illustrated by his son. Gilbert’s mother was the former Anne Mary Bye Morris (1812–1888), the daughter of Thomas Morris, an apothecary. Gilbert’s parents were distant and stern, and he did not have a particularly close relationship with either of them. They quarreled increasingly, and following the break-up of their marriage in 1876, his relationships with them, especially his mother, became even more strained. As a child, Gilbert traveled to Italy in 1838 and then France for two years with his parents, who finally returned to settle in London in 1847. He was educated in Boulogne from the age of seven, then at Western Grammar School, Brompton, London, and then at the Great Ealing School, where he became head boy and wrote plays for school performances and painted scenery. He then attended King’s College London, graduating in 1856. He intended to take the examinations for a commission in the Royal Artillery, but with the end of the Crimean War, fewer recruits were needed, and the only commission available to Gilbert would have been in a line regiment. Instead he joined the Civil Service. He was an assistant clerk in the Privy Council Office for four years and hated it. 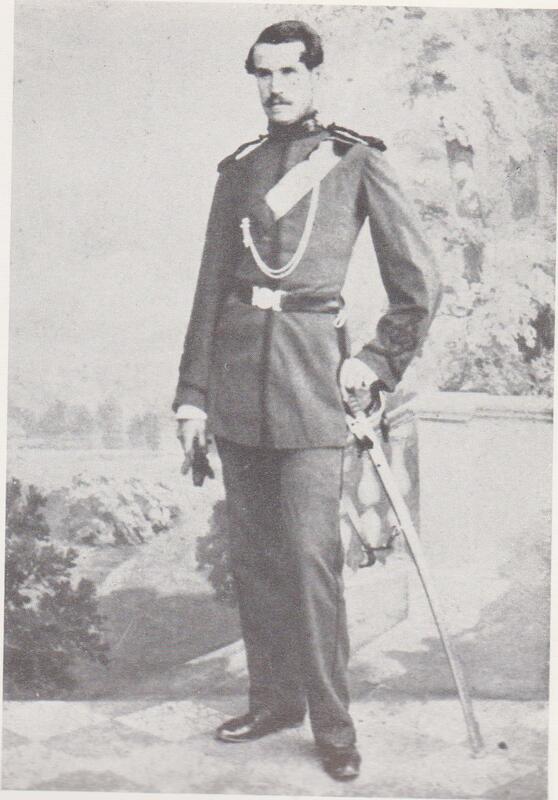 In 1859 he joined the Militia, a part-time volunteer force formed for the defense of Britain, with which he served until 1878 (in between writing and other work), reaching the rank of Captain. In 1863 he received a bequest of £300 that he used to leave the civil service and take up a brief career as a barrister (he had already entered the Inner Temple as a student), but his legal practice was not successful, averaging just five clients a year. 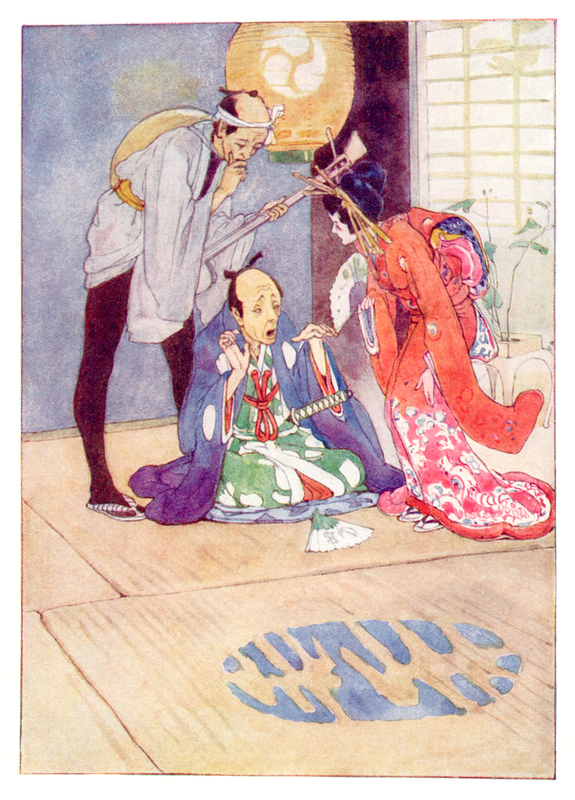 To supplement his income from 1861 on, Gilbert wrote a variety of stories, comic rants, grotesque illustrations, theater reviews (many in the form of a parody of the play being reviewed), and, under the pseudonym “Bab” (his childhood nickname), illustrated poems for several comic magazines. He published stories, articles, and reviews in a variety of papers, and in 1870 The Observer newspaper sent him to France as a war correspondent reporting on the Franco-Prussian War. The poems, illustrated humorously by Gilbert, proved immensely popular and were reprinted in book form as the Bab Ballads. He would later return to many of these as source material for his plays and comic operas. Gilbert wrote and directed a number of plays at school, but his first professionally produced play was Uncle Baby, which ran for seven weeks in the autumn of 1863. In 1865–66, Gilbert collaborated with Charles Millward on several pantomimes, including one called Hush-a-Bye, Baby, On the Tree Top, or, Harlequin Fortunia, King Frog of Frog Island, and the Magic Toys of Lowther Arcade (1866). Gilbert’s first solo success, however, came a few days after Hush-a-Bye Baby premiered. His friend and mentor, Tom Robertson, was asked to write a pantomime but did not think he could do it in the two weeks available, and so he recommended Gilbert instead. Written and rushed to the stage in 10 days, Dulcamara, or the Little Duck and the Great Quack, a burlesque of Gaetano Donizetti’s L’elisir d’amore, proved extremely popular. This led to a long series of further Gilbert opera burlesques, pantomimes and farces. Theater, at the time Gilbert began writing, had fallen into disrepute. Badly translated and adapted French operettas and poorly written, prurient Victorian burlesques dominated the London stage. 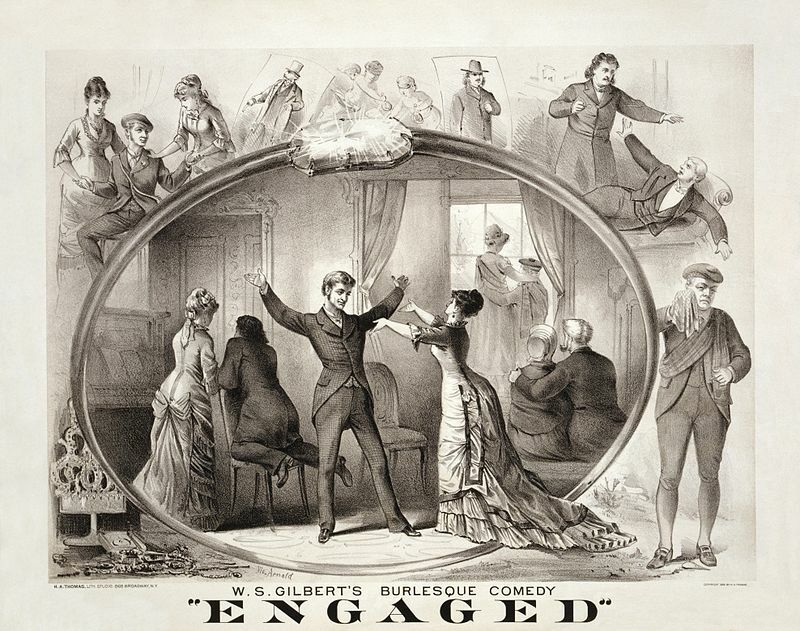 From 1869 to 1875, Gilbert joined with one of the leading figures in theatrical reform, Thomas German Reed (and his wife Priscilla), whose Gallery of Illustration theater sought to regain some of theater’s lost respectability by offering family entertainments in London. The environment of the German Reeds’ intimate theater allowed Gilbert quickly to develop a personal style and freedom to control all aspects of production, including set, costumes, direction and stage management. Gilbert’s first big hit at the Gallery of Illustration, Ages Ago, opened in 1869. Ages Ago was also the beginning of a collaboration with the composer Frederic Clay that would last seven years and produce four works. It was at a rehearsal for Ages Ago that Clay formally introduced Gilbert to his friend, Arthur Sullivan. Gilbert reused many of the plot elements of the German Reed Entertainments (as well as some from his earlier plays and Bab Ballads) later in the Gilbert and Sullivan operas. These elements include paintings coming to life (Ages Ago, used again in Ruddigore), a deaf nursemaid binding a respectable man’s son to a “pirate” instead of to a “pilot” by mistake (Our Island Home, 1870, reused in The Pirates of Penzance), and the forceful mature lady who is “an acquired taste” (Eyes and No Eyes, 1875, reused in The Mikado). During this time, Gilbert perfected the ‘topsy-turvy’ style that he had been developing in his Bab Ballads, where the humor was derived by setting up a ridiculous premise and working out its logical consequences, however absurd. Once he became established as a writer, Gilbert assumed the role of stage director for his plays and operas and had strong opinions on how they should best be performed. He was significantly influenced by the innovations in stage direction of the playwrights James Planché and Tom Robertson. Gilbert attended rehearsals directed by Robertson to learn this art firsthand, and he began to apply it in some of his earliest plays. He sought realism in acting, settings, costumes, and movement, if not in content of his plays, shunned self-conscious interaction with the audience, and insisted on a style of portrayal in which the characters were never aware of their own absurdity, but were coherent internal wholes. Gilbert demanded discipline in his actors. He required that his actors know their words perfectly, enunciate them clearly and obey his stage directions exactly, which was something quite new to many actors of the day. Another major innovation was his replacement of the star actor with the disciplined ensemble, giving him as director a new position of dominance in the theatre. Gilbert prepared meticulously for each new work, making models of the stage, actors and set pieces, and designing every action and bit of business in advance, and would not work with actors who challenged his authority. Even during long runs and revivals, he closely supervised the performances of his plays, making sure that the actors did not make unauthorized additions, deletions or paraphrases. He was famous for demonstrating the action himself, even as he grew older, went on stage himself in a number of productions throughout his lifetime. 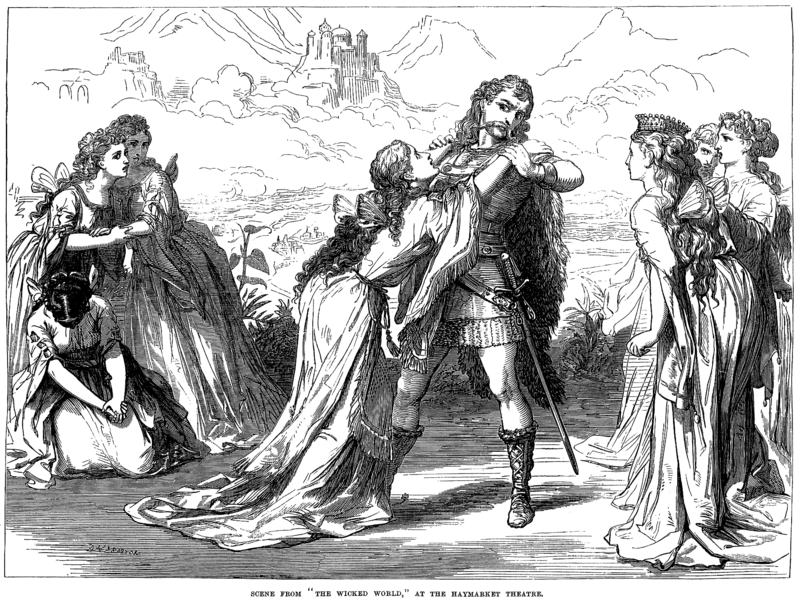 In 1871, John Hollingshead commissioned Gilbert to work with Sullivan on a holiday piece for Christmas, Thespis, or The Gods Grown Old, at the Gaiety Theatre. Thespis outran five of its nine competitors for the 1871 holiday season, and its run was extended beyond the length of a normal run at the Gaiety. However, nothing more came of it at that point, and Gilbert and Sullivan went their separate ways. Gilbert worked again with Clay on Happy Arcadia (1872), and with Alfred Cellier on Topsyturveydom (1874), as well as writing several farces, operetta libretti, extravaganzas, fairy comedies, adaptations from novels, translations from the French, and other dramas. 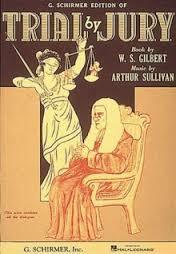 In 1868, Gilbert had published a short comic sketch libretto in Fun magazine entitled “Trial by Jury: An Operetta”. In 1873, Gilbert arranged with the theatrical manager and composer, Carl Rosa, to expand the piece into a one-act libretto. Rosa’s wife was to sing the role of the plaintiff. However, Rosa’s wife died in childbirth in 1874. Later in 1874 Gilbert offered the libretto to Richard D’Oyly Carte, but Carte could not use the piece at that time. By early 1875, Carte was managing the Royalty Theatre, and he needed a short opera to be played as an afterpiece to Offenbach’s La Périchole. He contacted Gilbert, asked about the piece, and suggested Sullivan to set the work. Sullivan was enthusiastic, and Trial by Jury was composed in a matter of weeks. The little piece was a runaway hit, outlasting the run of La Périchole and was then revived at another theatre. After the success of Trial by Jury, there were discussions about reviving Thespis, but Gilbert and Sullivan were not able to agree on terms with Carte and his backers. The score to Thespis was never published, and most of the music is now lost. It took some time for Carte to gather funds for another Gilbert and Sullivan opera, and in this gap Gilbert produced several works including Tom Cobb (1875), Eyes and No Eyes (1875, his last German Reed Entertainment), and Princess Toto (1876), his last and most ambitious work with Clay, a three-act comic opera with full orchestra, as opposed to the shorter works for much reduced accompaniment that came before. Gilbert also wrote two serious works during this time, Broken Hearts (1875) and Dan’l Druce, Blacksmith (1876). Also during this period, Gilbert wrote his most successful comic play, Engaged (1877), which inspired Oscar Wilde’s The Importance of Being Earnest. 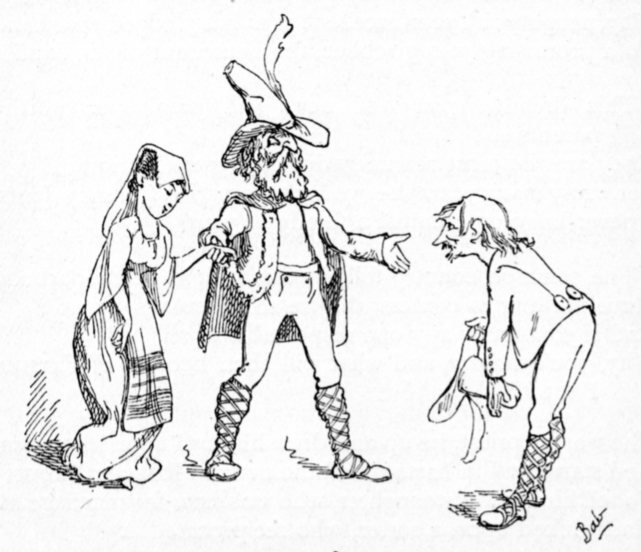 Engaged is a parody of romantic drama written in the “topsy-turvy” satiric style of many of Gilbert’s Bab Ballads and the Savoy Operas, with one character pledging his love, in the most poetic and romantic language possible, to every single woman in the play; the “innocent” Scottish rustics being revealed to be making a living through throwing trains off the lines and then charging the passengers for services, and, in general, romance being gladly thrown over in favor of monetary gain. Engaged continues to be performed today by both professional and amateur companies. Carte finally assembled a syndicate in 1877 and formed the Comedy Opera Company to launch a series of original English comic operas, beginning with a third collaboration between Gilbert and Sullivan, The Sorcerer, in November 1877. This work was a modest success, and H.M.S. Pinafore followed in May 1878. Despite a slow start, mainly due to a scorching summer, Pinafore became a major hit by autumn. After a dispute with Carte over the division of profits, the other Comedy Opera Company partners hired thugs to storm the theater one night to steal the sets and costumes, intending to mount a rival production. The attempt was repelled by stagehands and others at the theatre loyal to Carte, and Carte continued as sole impresario of the newly renamed D’Oyly Carte Opera Company. Pinafore was so successful that over 100 unauthorized productions sprang up in the U.S. alone. Gilbert, Sullivan, and Carte tried for many years to control the U.S. performance copyrights over their operas, without success. For the next decade, the Savoy Operas (as the series came to be known, after the theater Carte later built to house them) were Gilbert’s principal activity. The successful comic operas with Sullivan continued to appear every year or two, several of them being among the longest-running productions up to that point in the history of the musical stage. 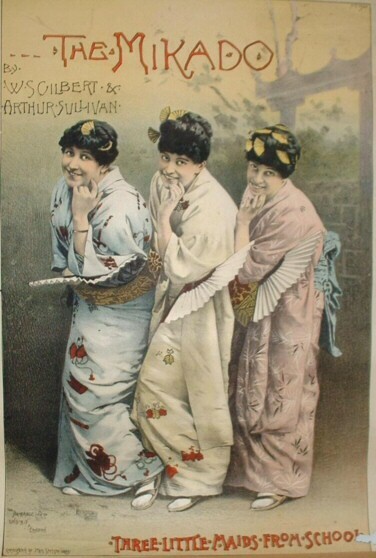 After Pinafore came The Pirates of Penzance (1879) – which opened first in New York in an attempt to control U.S. copyrights — Patience (1881), Iolanthe (1882), Princess Ida (1884, based on Gilbert’s earlier farce, The Princess), The Mikado (1885), Ruddigore (1887), The Yeomen of the Guard (1888), and The Gondoliers (1889). Gilbert not only directed and oversaw all aspects of production for these works, but he actually designed the costumes himself for Patience, Iolanthe, Princess Ida, and Ruddigore. He insisted on precise and authentic sets and costumes, which provided a foundation to ground and focus his absurd characters and situations. 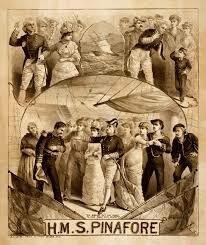 I was a fan of Gilbert and Sullivan from about the age of 11 when I saw my first amateur productions of H.M.S. Pinafore and the Mikado in South Australia at a time when Australian television was still in its infancy, and live theater was quite vital. When we moved to England in 1965 I made a point of seeing a number of Gilbert and Sullivan productions by the D’Oyly Carte company in their London theater as well as in Oxford, although I had to go alone because I couldn’t persuade family members to go with me. I always bought the libretti at the performances and kept them for many years. Well . . . that was then, and now is now. My interest has waned considerably, and I think of Gilbert and Sullivan now as period pieces only. Even so, I recognize the revolutionary nature of Gilbert’s stagecraft and writing. He was the master of his era, and his political satire, especially, is well barbed. Unfortunately, you have to know the period to grasp it, and later attempts to rewrite the jokes to make them more current fall flat, in my opinion – although audiences love them. 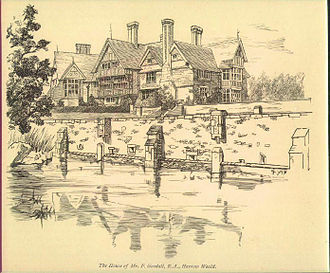 On 29 May 1911, Gilbert was about to give a swimming lesson to two young women, Winifred Isabel Emery (1890–1972), and 17-year-old Ruby Preece in the lake of his home, Grim’s Dyke in Harrow, when Preece lost her footing and called for help. Gilbert dived in to save her but suffered a heart attack in the middle of the lake and died at the age of 74. He was cremated at Golders Green and his ashes buried at the Church of St. John the Evangelist, Stanmore. The inscription on Gilbert’s memorial on the south wall of the Thames Embankment in London reads: “His Foe was Folly, and his Weapon Wit”. 2099.—DINNER FOR 6 PERSONS (NOVEMBER).—II. Kidneys á la Maître d’Hôtel. Dios mio !!! Is this for six or for an army? I would give you her recipe for lark pudding since it shows up on a number of menus. However – she does not give a recipe. This would not pass muster with contemporary editors. She does not give a recipe for Kidneys á la Maître d’Hôtel, but she does give a recipe for the sauce, so it’s not a much of a leap to put it together with grilled or sautéed kidneys (lamb’s kidneys I would think). 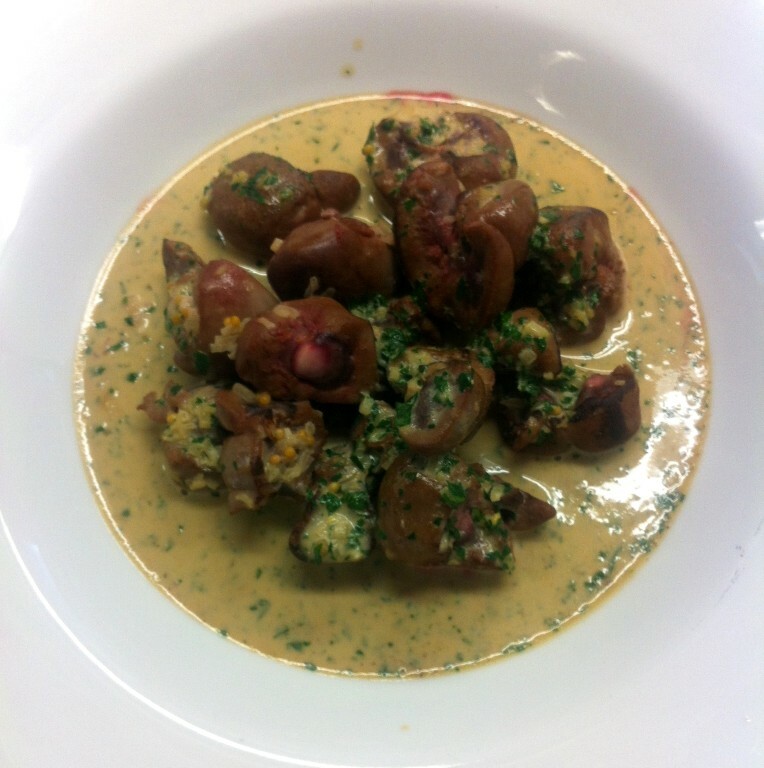 MAITRE D’HOTEL SAUCE (HOT), to serve with Calf’s Head, Boiled Eels, and different Fish. INGREDIENTS.—1 slice of minced ham, a few poultry-trimmings, 2 shalots, 1 clove of garlic, 1 bay-leaf, 3/4 pint of water, 2 oz. of butter, 1 dessertspoonful of flour, 1 heaped tablespoonful of chopped parsley; salt, pepper, and cayenne to taste; the juice of 1/2 large lemon, 1/4 teaspoonful of pounded sugar. Mode.—Put at the bottom of a stewpan the minced ham, and over it the poultry-trimmings (if these are not at hand, veal should be substituted), with the shalots, garlic, and bay-leaf. Pour in the water, and let the whole simmer gently for 1 hour, or until the liquor is reduced to a full 1/2 pint. Then strain this gravy, put it in another saucepan, make a thickening of butter and flour in the above proportions, and stir it to the gravy over a nice clear fire, until it is perfectly smooth and rather thick, care being taken that the butter does not float on the surface. Skim well, add the remaining ingredients, let the sauce gradually heat, but do not allow it to boil. If this sauce is intended for an entrée, it is necessary to make it of a sufficient thickness, so that it may adhere to what it is meant to cover. Time.—1-1/2 hour. Average cost, 1s. 2d. per pint. Sufficient for re-warming the remains of 1/2 calf’s head, or a small dish of cold flaked turbot, cod, &c.
She does give a recipe for nesselrode pudding which was enormously popular in Victorian times. It baffles me that it is a frozen dessert specifically for the winter. In the days before electric refrigerators and freezers it would certainly have been easier to make in the winter than the summer, but would not seem seasonable nowadays. Beeton’s recipe is not her own, as she admits, and she likely did not try it. INGREDIENTS.—40 chestnuts, 1 lb. of sugar, flavouring of vanilla, 1 pint of cream, the yolks of 12 eggs, 1 glass of Maraschino, 1 oz. of candied citron, 2 oz. of currants, 2 oz. of stoned raisins, 1/2 pint of whipped cream, 3 eggs. Mode.—Blanch the chestnuts in boiling water, remove the husks, and pound them in a mortar until perfectly smooth, adding a few spoonfuls of syrup. Then rub them through a fine sieve, and mix them in a basin with a pint of syrup made from 1 lb. of sugar, clarified, and flavoured with vanilla, 1 pint of cream, and the yolks of 12 eggs. Set this mixture over a slow fire, stirring it without ceasing, and just as it begins to boil, take it off and pass it through a tammy. When it is cold, put it into a freezing-pot, adding the Maraschino, and make the mixture set; then add the sliced citron, the currants, and stoned raisins (these two latter should be soaked the day previously in Maraschino and sugar pounded with vanilla); the whole thus mingled, add a plateful of whipped cream mixed with the whites of 3 eggs, beaten to a froth with a little syrup. When the pudding is perfectly frozen, put it into a pineapple-shaped mould; close the lid, place it again in the freezing-pan, covered over with pounded ice and saltpetre, and let it remain until required for table; then turn the pudding out, and serve. Time.—1/2 hour to freeze the mixture. Modern recipes suggest just molding the mix and setting in the freezer, but you can get better results by using an ice cream freezer. Mold up the mix when it is still soft from the ice cream freezer and let it set up overnight before unmolding. French recipes of the time call for a cold sauce of cream eggs and maraschino to be spooned over servings of the pudding.